RJ Burroughs is one of the newest members of the Martin Sisters Publishing family. 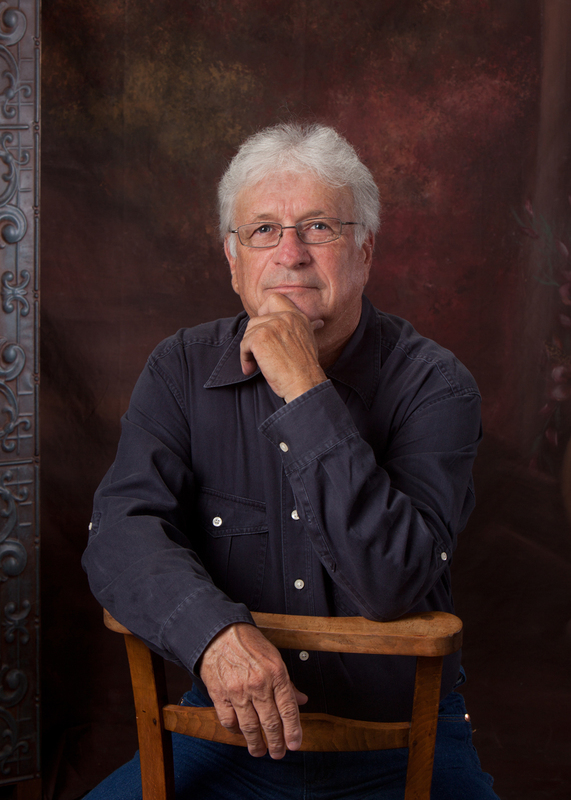 His book, The Boys of 58, is a coming of age story told with RJ’s unique humor and insight. No matter when you were a kid or what kind of trouble you got yourself into, you’ll see a bit of yourself in The Boys of 58.
RJ was nice enough to answer my usual questions, and he even gave extra attention to those originally designed with women in mind. He’s a good sport, and his answers will make you laugh. I hope you’ll take a few minutes to get to know him better, and then head over to one of the many places The Boys of 58 is available to take a look. The Boys of 58 is about 5 twelve-year-old boys growing up in the much slower time of 1958–all the trouble they seem to get into and the way they get out of trouble. It’s not one story, but a combination of several stories. When I wrote this novel, I did my best to make each page different and funny. I tried to put a little something in it for everyone–if you can please everyone that is. From a fainting goat to the zombie, or the boy and girl killed fifty-years before the boys were born. A person would be hard pressed to read The Boys and not laugh out loud several times. That would be to a girl named Rita in the 3rd grade. Rita was the fastest runner in our elementary school, and she was going to represent our school in the 100-yard dash at the city-wide elementary track meet. I thought Rita was about the prettiest girl I had ever seen. Of course, I hadn’t seen all that many girls, living on a farm and being nine years old. I saw a senior boy and girl kissing at the Big Burger one afternoon when my uncle took me to get a cherry limeade. The look on that senior boy’s face after he finished with that kiss was something I had never experienced before–kind of like the look people get today when OU beats Texas. I though kissing must be something special, so being who I am, I decided the only way to find out would be to give it a try. That’s when I wrote Rita a one-page note expressing my desire to find out what it feels like to kiss a girl. She wrote me back, stating if I could catch her at recess she would let me kiss her. Well, as I said before, she was fast–darn fast. I spent almost all of the fifteen minutes chasing that girl, and I finally trapped her between the monkey bars and the old slide. I will give her this–she was a girl of her word. She let me kiss her square on the mouth just like that senior boy. However, I didn’t have that look he had when I finished. It was more like the look people get when Texas beats OU. From that day on, I gave up on girls for good–or until I first saw Pam in her cheerleader outfit in junior high school a few years later. Well, that is a tough question for me. The only thing I can say is, I don’t have a clue. I guess if Sally Field was wearing a long plaid dress or a pair of shorts with stripes on them, I would have to say stripes. On the other hand, if Sally Field was wearing a long dress with stripes on it or a pair of plaid shorts, I would have to go with plaid. To me, it doesn’t matter the material or the color, but what a person does with it. I have written a lot of different stories in the past and tried several times (several times being a heck of a lot) to find an agent and or publisher. I don’t know for sure if my material was ever looked at, much less read. After hundreds of attempts, I just stopped trying. I have a lot of family members and friends that enjoy what I write, be it horror, sci fi, mystery, or humor, so I wrote just for the enjoyment of writing and the pleasure my friends got out of it. After I finished writing The Boys of 58, I sent out several queries to agents/publishers. Still nothing. I just happened to be checking the spam on my computer when I found an answer from Martin Sisters. To make a long story short, they loved the novel, and now it’s in print. If it hadn’t been for the Sisters I would still be writing for family and friends. Still, it is hard to get the word out about a new book, but I just keep plugging along in hopes that people who do read it enjoy it and pass the word along. Yes, I am just about finished with The Boys of 59, the sequel to The Boys of 58. I won’t be sending it off until The Boys of 58 has been out awhile. I am also about 3/4th finished with a mystery novel called Marriage, as well as a fiction novel about how the names of creeks in Oklahoma came about. I have several others planned as well. No, I just write when I feel like it–just walk into my office, sit down, and write. I always carry a small pad with me, just in case I happen to think of something I want to write about or something I would like to add to a novel. Then when I get to the computer, I take out the pad. Otherwise I would forget my thoughts. This is something I believe all authors should do, as I can’t ever remember all the things I have thought of and forgotten before I could get to the computer. The only other ritual that helps me write is when my wife gets upset with me about something or she happens to cook liver. Either one of those send me to my office quick. No, I haven’t based any characters on anyone I know. I have used the names of some of my friends, however. As for places, yes. The Boys of 58 takes place in a small Oklahoma town called Verden, a little town my grandmother lived in and where I attended the second and third grade. In The Boys of 58, one of the boy’s names is Sonny, and my nickname is Sonny. Now I kind of wish I had given Sonny a different name, as people seem to think the story is about me, and it is not. It is pure fiction. The grandmother in the story does have some of the traits of my grandmother. The snuff and flyswatter came from her. I enjoy making up the last names myself. Jen, I don’t have an umbrella. If I did, I am sure the wind in Oklahoma would be more than happy to take it away from me. Being a young lady as you are, I am sure you have no idea what runs through a man’s head about being macho. It is something we men strive to be. I can’t speak for all men, but it seems kind of hard to run into Wal-Mart, or Rexall Drugs holding an umbrella and still feel macho. Ok, if I had an umbrella, it would have Sooners on it. I guess that would have to be Stephen King. I wrote a book called Unholy Ground a few years ago. A lot of the people that read it thought it was something from Stephen King. 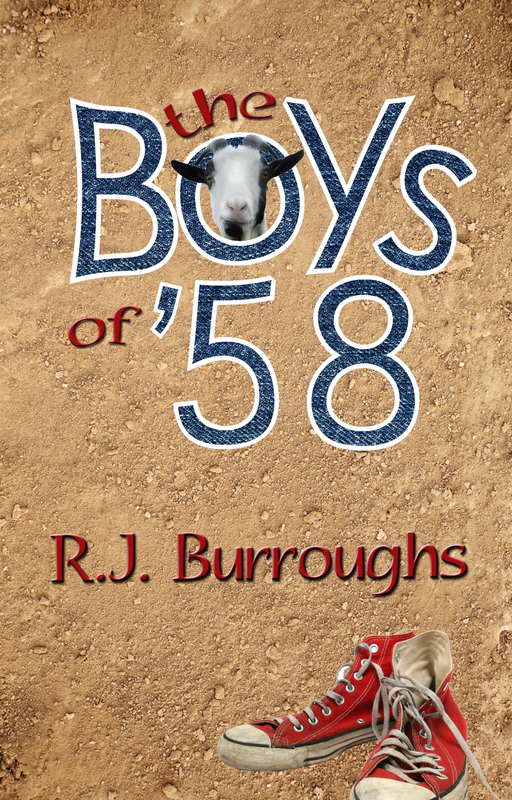 I have a little part in The Boys of 58 about a boy and girl that were murdered fifty years before the boys were born. The head of the young girl was never found. As I said before, I tried to put a little something in it for everyone. By no means is The Boys a horror novel or is the murder part scary; it’s all humor. As for what I like about Stephen King: when you read his novels, there is always a part a person can relate to in it. Some of it is even funny. He is very different from me, however. He taught English; I flunked English. He is from the north (Maine); I am from the southwest (Oklahoma.) If I had to bet, I would say his wife doesn’t cook liver mine does. I think he talks funny, but I am sure if he were to hear me talk, he would think the same thing about me. The only thing we have in common is he has been in a lot of movies same as myself. The only difference is that he was acting, and I was in a chair eating popcorn with butter and drinking a small coke. That would be Huckleberry Finn. I have read it several times. I enjoy Mark Twain’s writing. That just happens to be the last one I read. However, I am waiting on Side Effects to get here. You know about Side Effects, don’t you? As I said before, I used Verden from my childhood. However, I make up 99% of the locations in my head. That way, if I need a fire station down the block or a Dairy Queen across the street from something, I can always add it in. Again, I like to make things up in my head. As I write about it, I make notes. If I didn’t, I would end up with a fire station on each block and four or five Dairy Queens in the same town. I really don’t do anything other than send it to my editor. I type so fast (or at least I use the excuse of typing so fast) that I have to have someone edit it. If it hadn’t been for sports and girls in school, I might not have passed. My spelling leaves something to be desired. After the military, I did try to go to college, but it was in the 70s and the students were all protesting Vietnam. Since I was ex-military, I was given a cold shoulder by most. I dropped out and went into the pipeline field–something I still do to this day. So yes, as soon as I finish a story, it’s off to my editor. Red River Valley by Stevie Nicks. Why, I have no clue, other than I like the fire out of that song. I guess that is the southwest coming out of me. Amazon, Amazon Kindle, Smashwords, Barnes and Noble, Martin Sisters Publishing, or it can be ordered at any bookstore. When I reached the store, I saw Sally Majors coming out carrying a large sack of groceries. That wouldn’t have been much of an inspiration before, but Sally had been the talk of the town a few months back. She ran off with the high-school French teacher and got married. She was seventeen and Mr. Baxter was thirty-seven. That was about the biggest thing since the Bible salesman came to town and stole the cash box from the Baptist Church. Seeing Sally’s large stomach that day, I just knew she was going to have a baby. She wasn’t pregnant, mind you, saying that word was another no-no. Sally was either in the family way, with child, or just going to have a baby. Pregnant was only used for bad girls that lived out of our little town or by the doctor. Seeing her ‘in the family way’ gave me the perfect idea for paying Miss Mary Sue Bailey back. It came to me in such a flash I forgot all about the Garrett Snuff. I turned on my heels and, in a dead run, started for Charlie’s house. About halfway there I remembered the snuff and thoughts of flyswatters and yardsticks came to mind, but there was no turning back now, and the respect I’d get from the guys was worth more than just a couple licks. Reaching Charlie’s house, I banged on the door till the usual greeting came. “Stop that banging, you little fart,” Charlie’s mom said. Everyone was a fart to her. Dumb fart. Old fart. Young fart. Stupid fart. Young, no-account fart. That was my favorite. “Yes, the little, no-account fart is here,” she said, turning to fetch her son who was already headed up behind her. “What you want, fart-head?” he asked, sidestepping the slap he knew would be coming his way. The fart word was used a lot in his house, but only from his mother. When she heard Charlie or one of us use it, you could bet a slap across the top of your head was soon to follow. For a second, I was going to tell him, but when you get an idea like that, you can’t just waste it; you got to tell everyone at once so they can all talk about how brilliant it was. Be sure to leave a few words for RJ. You can also visit his website and “like” The Boys on Facebook. Previous postI Found My Superpower!